Promote your Beach Clubs here, Tropic Hosts! Make sure to provide the needed information below so that it will be easier for other players to decide which Club to join. Cloning is against our Zynga Terms of Service and Community Rules (Number 6, Letter A). It is under "exploit" wherein players uses bugs, glitches or speed to their advantage in a manner not intended by the game developers. It's important we keep a healthy and fair gameplay experience for all players. Looking for a fun and easy going club to join? Mai Tai Beach Club:) is exactly that. We like to chat and joke around. Lots of cooperation and we like to participate in the cruises. We would like players who are active but we have realistic expectations as to what this might look like for everyone. We also enjoy sharing boosts when possible. Sometimes we get a bit competive with other clubs on the cruise tournaments but it is all for fun!!! Come and have a laugh with us! Look up “Mai Tai Beach Club:)”. Any level welcome. Our average level is 22 but we are working hard to get further . Alright, we're wearing out, we're pretty sure the game is headed in a bad direction, but we're still here and looking for fresh energy! 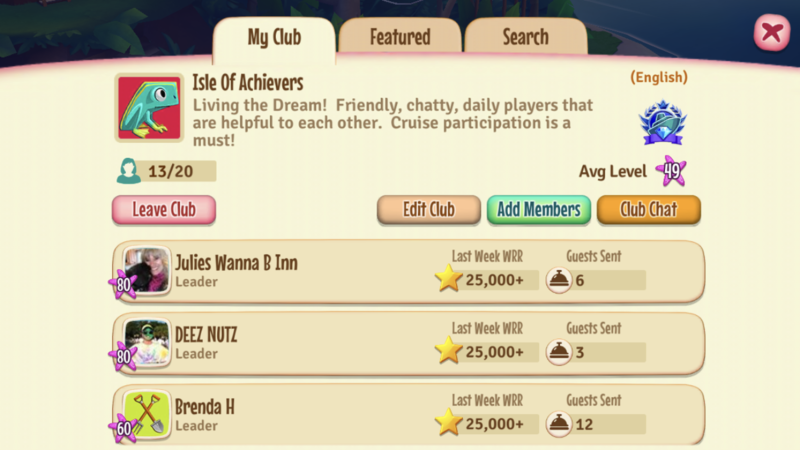 KJ's Banana Cabana has spots open - level 23+, daily active but don't need to live in the game (actually, please do not live in the game...), the Captain has set us on Cruise Casual (we play for the goal rewards not the Contest of Cruises). We use some outside tools to make playing together easier (FB messenger group chat for trading and boosts notifications, Google spreadsheet to coordinate boosts - I swear that is not as scary as it looks, very easy to use!). Mostly, we like to play smarter, not harder. Group is set to private, so you do need to "apply to join". Fair warning, we don't talk all day but we are a solid bunch of goofballs when we get going. If you are looking for a fun group, come join BREEZEWAY! We are an US, EST. playing group and run organized boosts Tue-Thur, Sat & Sun and take a break Mon and Fri. Although we are an active group, active is subjective cuz real life prevails. If we soundlike the group for you, come join us. Guaranteed you'll like us. 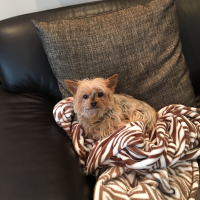 Hello I'm looking for a new home. The one I'm in is full with 20 people but they dont even play the cruise and I'm the only one using all my boosters. I have reached my cruise points well over the 2000. But I cant leave until it is over to get the rewards. Do I get just rewards or the whole group do? Hiya - only members who complete 3 cruise orders will get the rewards. Nobody else will get anything. Also, you can leave in advance - the game will bounce you back in to get your rewards and then bounce you back out to whatever new club you're in. 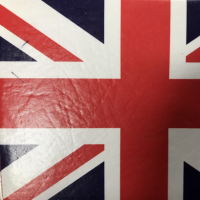 Take a look at my post above for our club. If you're interested, we have openings. Hey just started a new club. Nobody in my old club wanted to participate. Playing in the Sand. I’m level 37 but anything over level 26 okay. I like fun and kind people. Yay!! Just started a new group! I'm looking for active members who want to work together to help everyone! Join now! Looking for new members for newly formed club of experienced playerrs-level 35 and up. We are chatty, share supplies, participate in events and stock cruise ship. For two months we have come in in the top three in cruise ship. Our club name is: GOLDEN SANDS . Icon is yellow star with orange sun on green background. Join us for fun times ! Aloha! We are looking for new members. There are nine in our club. We share boosts and help with helicopters and send lots of guests. Everybody participates in cruise ship. Looking for a fun club? Then come and join the Mai Tai Beach Club. We have about 14 members now who are all very helpful and participate as much as they can. We hope you are an active player ( within reason and like to participate in events such as cruises. We are all in the 20 levels but level is not an issue. We chat. Share stories. Do group boosts whenever possible. Come feel at home and get a laugh in the Mai Tai Beach Club:). We just started our beach club today. There are three of us. Our levels are, 23, 35, 48. We are daily players. Looking for daily players. We are a very friendly and helpful group. Look forward to seeing you! Looking for new members in Golden Sands (butterly logo). We’ve been playing together for almost four years and just broke from our original group due to too many inactive members. All welcome. Most of us are Level 40 and above, but lower levels are welcome. Looking for a club with no pressure, we’re everyone is welcome, look no further, we are ready to welcome you to our club. Hello! 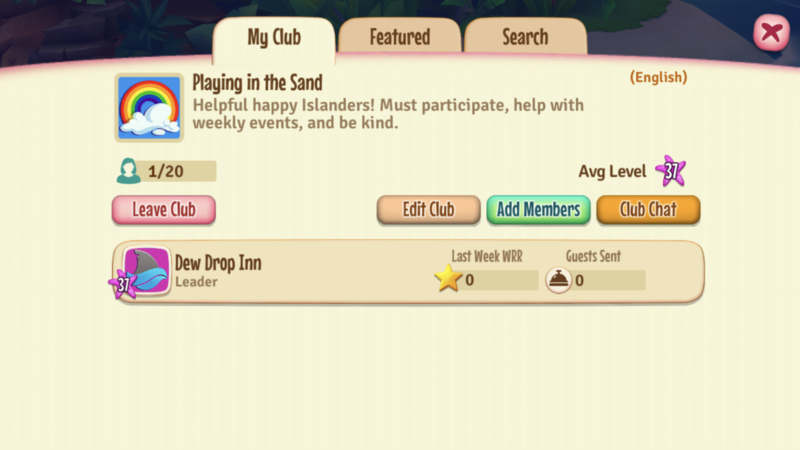 I’m a new player and I’m looking for a beach club to join. An active but not too serious club. 😎 I’ve played similar games before and I do my best to help my team mates. I’m currently on level 10, soon 11.